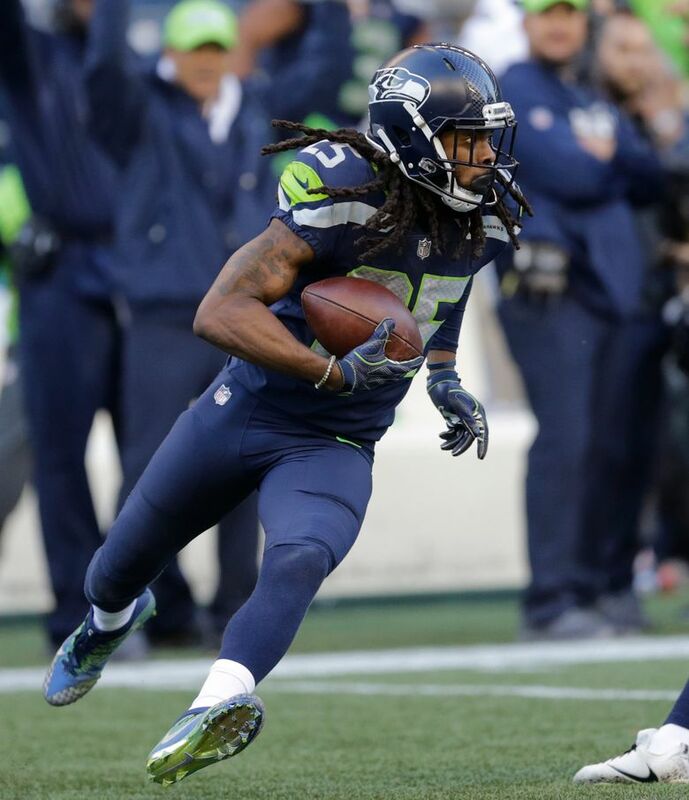 Analysis: Is Richard Sherman right? Have the Seahawks lost their way? Critiquing Richard Sherman's critique of the Seahawks. Recall that Sherman first said that shortly after he was released by Seattle and then signed with the 49ers in March, in an interview on UNINTERRUPTED’s The ThomaHawk Show featuring former Cleveland Browns Joe Thomas and Andrew Hawkins. This time, Sherman made a similar comment in an interview with Sports Illustrated’s Robert Klemko in the Monday Morning Quarterback column published Monday. Neither time did Sherman offer a ton of specifics other than saying the team has made some mistakes in player moves the last few years as it regressed from being a Super Bowl title winner following the 2013 season to 9-7 and out of the playoffs in 2017. The Seahawks have made their share of personnel hiccups the last few years. They haven’t had a draft pick make the Pro Bowl as a position player since 2012, the trades of first-round picks for Percy Harvin and Jimmy Graham didn’t pan out the way the team hoped, and recent free agent signings of Eddie Lacy, Cary Williams, Luke Joeckel and J’Marcus Webb were pretty much disasters. There’s no breaking news there. More interesting to me was Sherman’s contention that the “always compete’’ philosophy of coach Pete Carroll has wavered in recent years. Sherman seems to be implying that Carroll suddenly began handing jobs to players for reasons other than physical ability (there also seems to be an implication that Thomas’ apparent desire to be traded if he can’t get a new deal is related to frustration over how the team’s philosophy has changed). Sherman, though, wasn’t quoted as offering any specifics. But the author of the story, Klemko, did elaborate on that in an interview on 710 ESPN Seattle Monday with John Clayton. Klemko, in fact, said Seahawks other than Sherman have told him the same thing. Said Klemko, as quoted by MyNorthwest.com: “I think that a lot of those guys feel like that sense of competition that it was all built on – where the best man is going to win the job, no matter his draft status, no matter how much he gets paid – I think that they felt that that started to disappear after the Super Bowl against New England. For whatever reason, they think Pete Carroll lost the qualities that really made the team great, and that was that competitive nature. As MyNorthwest.com noted, Klemko said Sherman didn’t mention any specific players. Klemko, though, had his own thought on what the players he has talked to may have meant. No doubt, the offensive line has been a glaring and increasing weakness since 2013. And no doubt the Seahawks needed to draft better on the offensive line. But the idea that the Seahawks committed to offensive linemen that they were paying big contracts to at the expense of playing guys who were making less is harder to prove. Seattle, in fact, basically did the exact opposite, going from the highest-paid offensive line in the NFL in 2013 to the lowest-paid in 2016 in gradually either trading or losing in free agency all of the starters from the Super Bowl team, garnering lots of criticism for instead going with the likes of undrafted free agents Drew Nowak, George Fant and Garry Gilliam, instead. They were decisions made in part to allocate salary cap resources elsewhere, largely on defense, as the Seahawks handed significant contracts to Sherman, Thomas, Bobby Wagner, Cliff Avril, K.J. Wright, and Michael Bennett in the 2014-15 time frame (during which time the Seahawks also re-signed Wilson and Doug Baldwin and took on Graham’s $10 million-a-year salary). When it comes to the offensive line specifically it’s difficult to find an instance of the Seahawks siding with a highly-paid veteran over a younger player, in part because by 2016 there were no more highly-paid veterans even around anymore. In one of the few really notable cases the last few years of a veteran versus a younger player — when Seattle signed Webb in 2016 — the Seahawks sided with youth. Webb signed in the spring with a $2.2 million cap hit that made him the highest-paid OL on the team and accounted for roughly a third of the total cap hit for the team’s offensive line that season. Despite that, Webb — who was viewed as someone who could play either guard or tackle — never won a starting job, Seattle instead went with young players Fant, Gilliam and Germain Ifedi as starters. Webb’s only starts came as an injury replacement for Ifedi. The Seahawks then cut Webb in November, content by that point to go instead with rookie Rees Odhiambo as a backup swing guard/tackle, despite Webb being under contract through the 2017 season. The questions about what has happened to the Seahawks since 2013 will yield many answers as the years progress. Some will hold up better than others.